Web hosting services allow individuals or businesses to rent servers to keep information used for displaying websites that are accessed online. All websites that are present on the Internet are hosted on servers or similar machines, and different companies provide a range of different options for this service. This might include complimentary hosting for people who do not require a lot of options, along with dedicated servers that are more costly but offer increased control. Usually, hosting services fall under one of two broad categories — personal or professional. A basic package will offer space on a server, where website owners can publish their pages to send traffic to. These kinds of services give customers who own domain names the bare minimum of requirements to get their web pages up and running. Most of the time, technical support will be available to help with any uploading and downloading issues that are encountered. 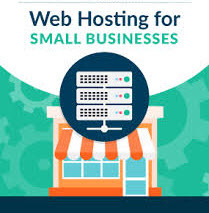 For professional use, there is web hosting for small business that offers various tools and bundles, such as credit card processing and ‘point of sale’ packages. The quantity of storage for site information and tools like domain specific email addresses will vary, based on the price of the service. Frequently, complimentary services use website URLs that are an extension of the server’s URL, like ‘www.examplehost.com/hostedsite’. An individual or business that wants a domain name like ‘www.micksfishandchips.com’ normally needs to purchase that domain, as well as the hosting service itself. When it comes to choosing a web hosting provider, there are a number of points to take into account. Hosting companies with a proven track record of at least 99.5 percent uptime are regarded as dependable. Powerful servers are better able to display web pages quickly. Smaller, slower servers might produce exasperating delays for website visitors. In addition, high volumes of traffic can cause servers to slow down if they lack the power to cope with large amounts of information exchange. These delays should be worrying for any budding website owners, because slow loading websites have higher bounce rates, and this can negatively affect search engine rankings.